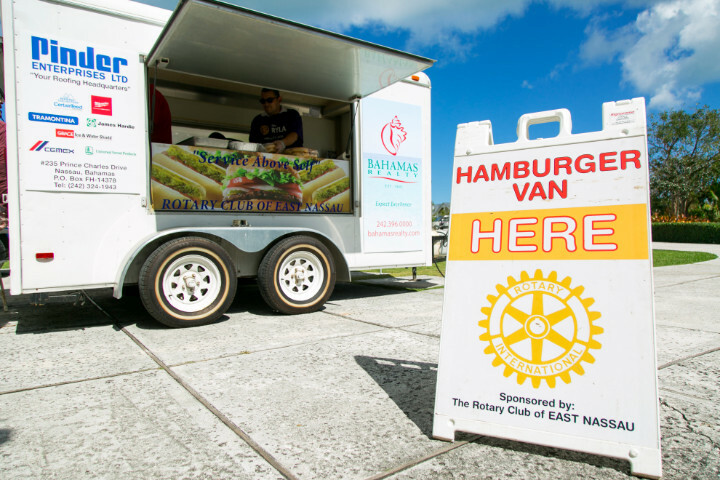 New Providence, Bahamas – Bahamians living on New Providence in the past two decades have likely seen the Rotary Club of East Nassau’s Burger van, which has become synonymous with the now world famous ‘Rotary Burger’. 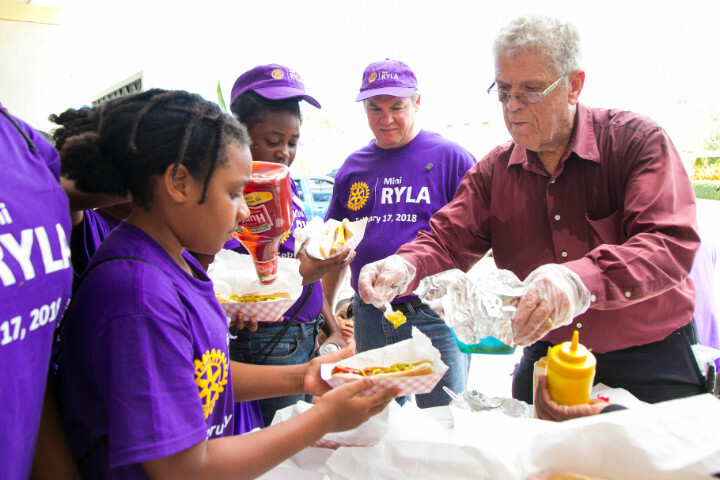 Over the past 20 years the Burger Van has been well recognized at fundraising efforts and assisted countless charities like BAARK, The Bahamas Humane Society, Bahamas National Trust and the Junior Baseball League of Nassau achieve their financial goals. 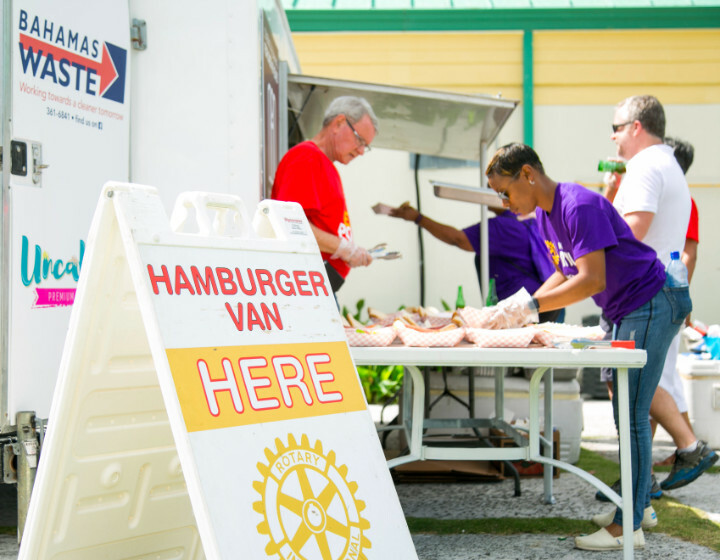 In 2017 alone, the van was used to cater to some 14 events put on by the Rotary Club and its youth arm Rotaract, serving approximately two thousand hamburgers and hot dogs. After 20 years in operation however, everyone’s favorite burger van began showing signs of wear and tear. “We realized it was time for a facelift and wanted to ensure the work of the Rotary Club and Rotaract Clubs was being done in the proper fashion and with a professional look” explained Burrows, “we therefore did a full inspection of the van and solicited donations for its improvements which included repairs to the grill and windows, new utensils, installation of hand sanitizer, Fire Extinguisher and First Aid Kit all of which were generously donated by the local business community. The biggest task however, was undertaken by longtime supporters of the Club of East Nassau, Bahamas Waste (BW), who gave the vehicle a full makeover” he said. Bahamas Waste’s in-house workshop preformed their magic on the old van, taking out dents, detailing the van and outfitting it with its new wrap signage. Once the work was complete the van was outfitted with new Rotary logos. Then the idea came up to invite corporate Bahamas to participate in the work of the van while advertising their company with mini billboards on the outside. This turned out to be a great success and raised much needed funds to keep the van well maintained and self-sustainable. 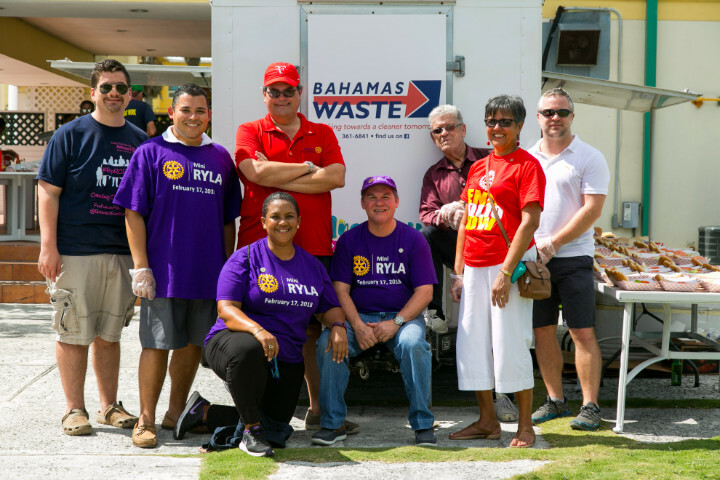 For Bahamas Waste Managing Director Francisco de Cardenas, a well-known Rotarian himself, the collaboration only made sense. The all new-look Rotary Burger Van will hit the streets of Nassau this month and will feature those juicy burgers at the upcoming Antique Auto Show on Arawak Cay. “We’re hoping the changes we’ve made will encourage more corporate citizens to come on board, literally speaking, and have their logos displayed as well” noted Llewellyn, who extended a big thank you is extended to Bahamas Waste and all the companies which participated in the project. 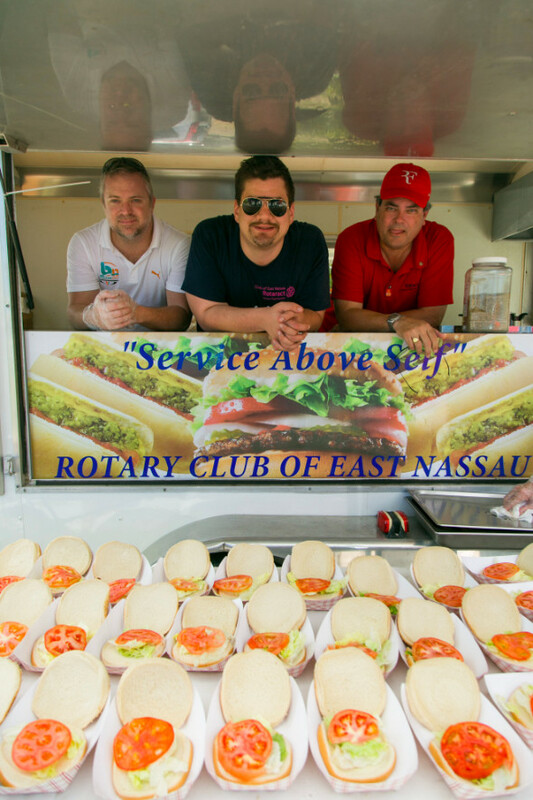 Corporate Bahamas shows its support of the work of the Rotary Club of East Nassau by having their logos displayed on the mobile Rotary Burger Van. The van is used to raise funds in support of Rotary projects across New Providence.